If you’re expanding your business into new, self-owned premises, you may be thinking of getting a mortgage, which is a secured personal loan that takes the premises as collateral against the loan, to help you pay for it. However, if you’re building a new set of offices or a manufacturing facility instead of buying one that’s already built, a regular mortgage isn’t an option. That’s because you don’t yet have the property to put up as collateral against the loan. You could just take out an unsecured business loan, or try to use your credit card to pay for it, but the best option is to get a construction loan designed specifically for this purpose. A construction loan is basically an unsecured short-term loan, but it’s a lot more complex than that. It only lasts for a relatively short period of time, just long enough for you to complete your project. These loan terms can be between 6 months and 3 years. The monthly payments are also frequently lower than those for a mortgage, even if the interest rate is higher, because you’re only paying off the interest on the loan and not trying to pay off the capital as well. A construction loan is more complicated than a standard unsecured business loan because it’s designed for the needs of someone overseeing a renovation project. Instead of receiving the funding in one lump sum, you’ll agree to a schedule of payments called ‘draws’ with your bank or online loan provider. Draws are scheduled around particular milestones that are spread throughout the construction process. Popular draw times include when the foundations have been poured, after the frame has been erected, and once the roof is sealed. A construction loan could be paid out in anything between five and ten draws and most lenders will require a site inspection to check that the project really is on schedule before they release the next draw. As the loan is only paid out in segments, you’ll also only pay interest on the payments you’ve already received and not on the total, final amount of the loan. For example, if you’ve received $250,000 of a $750,000 loan, you’ll only pay interest on $250,000. It’s very common to only pay off the interest of the loan during the project and leave the principle to be paid off in one lump sum once your property has been built. This is also called a balloon mortgage. Once you’ve received all of the loan payments and your premises are fully built, you own property that can serve as collateral on a regular mortgage. The balance of your loan can be paid off with the lump sum of a new mortgage, which closes the circle of financing and leaves you with just the usual mortgage payments. Some lenders offer both construction loans and commercial mortgages in one package so that you don’t have to juggle two lenders and can move smoothly from one loan to the next. A construction loan can cover more than just the cost of renovation. You can use a loan to cover the cost of buying the land you wish you build on, the cost of preparing the land, and labor and materials for the actual building. A commercial construction loan can also be used to renovate or redo existing premises for commercial purposes. What Types of Construction Loans are There? This covers the costs of preparing raw, undeveloped land for construction. It includes subdividing land into lots that can be sold for either commercial or residential construction. You might also be able to use it to cover putting in power lines, water pipes, or sewage facilities. It’s used for buying land that’s past the raw stage and ready to be developed as well as for developed land that needs improvements made to the land or the buildings that are already there. An A&D loan, as it’s popularly called, covers both the purchase and the development of the land. This is the classic commercial construction loan that covers all of the associated costs of the actual renovation project. These can include land surveys, title inheritance, interim costs, fees for architecture and design, materials, and labor. Mini-perm loans can be provided by banks, online lenders, life insurance companies, and specialty finance companies. There are government-backed, mini-perm construction loans such as SBA 7a or 504 loans that call for only a very small or no down payment, regular loans, and even crowdfunded commercial construction loan platforms. You can choose which source to go to for your loan depending on your financial circumstances. The expected final cost of the project, including contractors’ estimates from plumbers, electricians, general contractors, etc. Your lender will usually take a few weeks to assess all aspects of your commercial construction project. This is because commercial construction loans are considered to be high-risk loans. You should prepare to have to provide full project plans, designs, engineering specs, and other detailed information about the project. 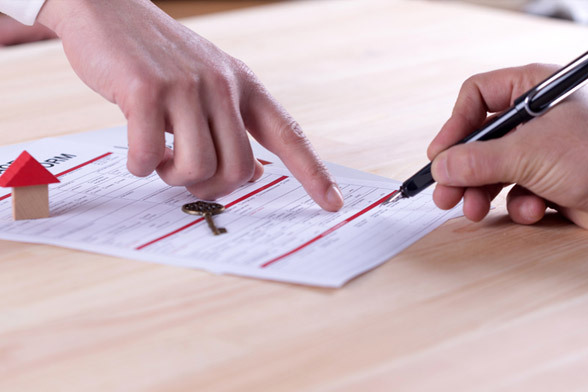 Once the loan is approved, you’ll receive a binding letter of commitment to close the deal. As mentioned above, your loan agreement will include the dates and project milestones for every draw. How Much Does a Construction Loan Cost? The exact fee you’ll be charged varies from one lender to the next, but you can expect to pay a loan arrangement fee for both the construction loan and the mortgage you’ll need once building has finished. Most commercial construction loans call for some kind of down payment. Banks and online lenders will usually ask for 10% - 30% of the loan amount, although on rare occasions they might put up 100% of the cost of the loan. Government-backed SBA loans tend to only require 10% down payment or to offer 100% financing. Taking out a loan gives you a valuable opportunity to expand your business into custom-built premises which could give you exactly the right working conditions which you couldn’t access any other way. It also saves you from tying up your working capital into an ongoing project that puts it out of reach until the end of the renovation. However, a commercial construction loan is considered a high-risk loan. If anything goes wrong during the course of the project you could be left with quite a large loan and nothing to show for it. Getting approval for a loan also takes quite a while, which means your whole project is on hold until the funding comes through. If you’re just planning a small-scale renovation, you might do better with some other form of business funding that comes through more quickly.